The award-winning Get Set for School® Pre-K curriculum uses lively music and playful activities to teach number concepts, geometry, sequencing, phonemic awareness, vocabulary, and concepts about print. Our dynamic Pre-K Literacy & Math Workshop introduces developmentally appropriate activities that are sure to energize your classroom. 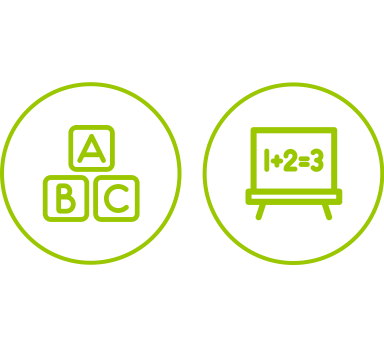 Discover how our tools and strategies can help you transform potentially complex concepts so that they are relevant and enticing for young learners.